On Sept. 20, 1986, Virginia Duclos Bruce disappeared while on a night out with friends in Hamden. Her body was later found in a dumpster. Thursday night Hamden police posted online, asking the public for any information on the death of 28-year-old Virginia Duclos Bruce. 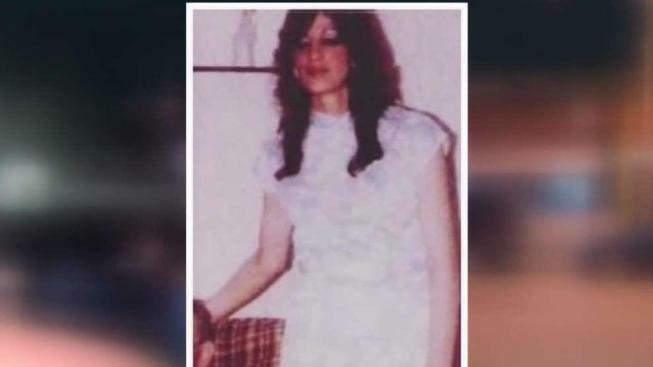 Hamden police continue to search for answers in the killing of a young mother in 1986. “We have not forgotten about Virginia,” the post read in part. And neither has her family, which is devastated by the violent murder of Virginia more than three decades ago. “She has a son and a daughter that don’t have a mother,” her sister, Carolyn Bird told NBC Connecticut. During a video chat from Rhode Island, Carolyn Bird remembered her sister who was brutally killed 32 years ago Thursday. “She was a disco queen. She loved to dance. She played pool. She was a great mom, a wonderful sister,” Bird said. On Sept. 20, 1986, Ginny – as she was known – disappeared while on a night out with friends at the Highwood Bar & Grill in Hamden. Authorities would later discover her body in a nearby dumpster off of Morse Street. She died after being stabbed multiple times. Over the years, Hamden police interviewed scores of people and chased down leads. But as of now no one has been charged with the crime. Tonight Ginny’s family wants justice and hopes someone who might know something comes forward. “Maybe they won’t be afraid any more. Maybe they’ll say something,” Bird said. Anyone with information is asked to call police. The state is offering a $20,000 reward for anyone who can help solve this case.